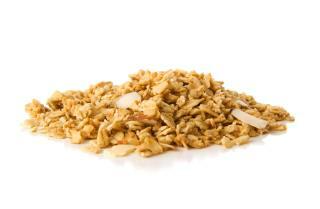 (Newser) – Love may make the world go round, but it's not the stuff from which you make granola, at least according to the FDA. "There's little room for whimsy when it comes to FDA compliance," as Law 360 puts it in its report on a Massachusetts-based bakery that distributes to about 120 stores throughout New England. Nashoba Brook Bakery was taken to task by the agency over its inclusion of "Love" as one of the ingredients in its Nashoba Granola. In a Sept. 22 letter to CEO John Gates and Head Baker Stuart Witt that outlines a slew of violations related to sanitation, the FDA also called out the bakery's use of the word "Love" as an ingredient. It reads, "Ingredients required to be declared on the label or labeling of food must be listed by their common or usual name." this is what we pay for? Seriously? They should challenge this. The FDA would have a hard time proving that there was no love in the cookies. I don't know. My grandma and I could have baked the same recipe side by side and I have no trouble at all believing her cookies would be better.